Apple today announced that it has slashed prices on the iPod shuffle, now priced at $49, and that it is introducing a new 2GB model of the iPod shuffle for $69. The 1GB iPod shuffle is available immediately for a suggested retail price of $49 (US) through the Apple Store, Apple‚Äôs retail stores and Apple Authorized Resellers. 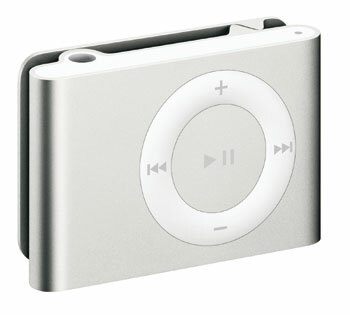 The 2GB iPod shuffle will be available later this month for a suggested retail price of $69 (US).